There’s a lot of confusion on where things stand between Khloé Kardashian and her estranged husband, Lamar Odom, and this latest report is not giving us any clarification. Over the weekend, Kardashian posted an emotional message on Instagram about “letting go,” a post that many fans speculated was directed at Odom after he was recently seen out on the town. But if the post was directed at Odom, does this mean that Kardashian is finally willing to put the past behind her and cut ties with Odom for good? A source reportedly told Hollywood Life that Kardashian would never leave Odom because she’s still too in love. “Khloe has not yet divorced Lamar because the heart wants what the heart wants, and she never really wanted a divorce from Lamar,” a source told the publication. According to the source, Kardashian never actually wanted to get a divorce; she only filed because she was hurt. Ugh. TMI, but you really can’t help but feel for Kardashian over her current situation: Most of us know how incredibly hard it is to move on from someone you love, and have a rich history with, regardless of whether they’re right for you or not. However, there are concerns that Odom could be going back to his old habits, partying and drinking — but even this may not be enough for her to call it quits. Do you think the report is true? 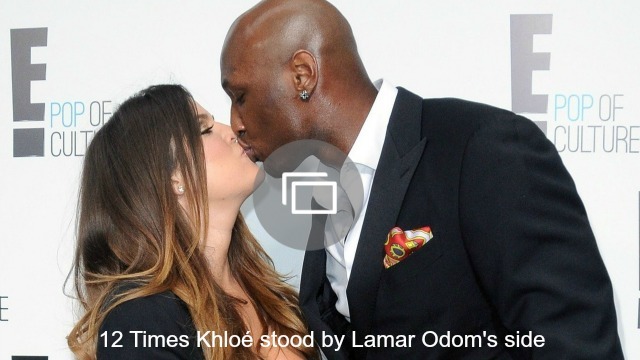 Will Khloé be unable to leave Lamar because she’s got unresolved feelings? Share your thoughts with us in the comments below.